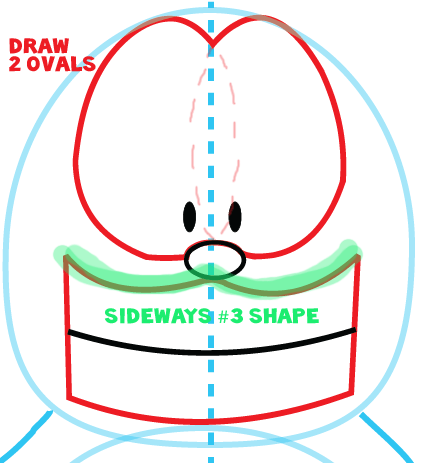 Draw guidelines in the first oval for the placement of facial features. Draw a ‘J’ shape foe each arm. 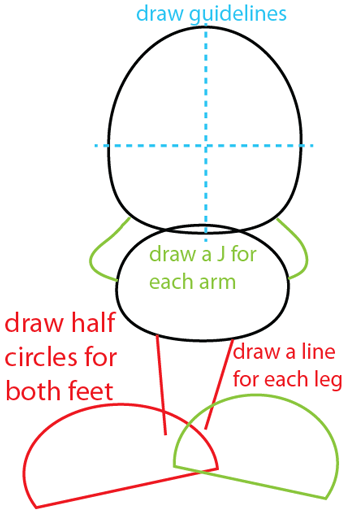 Draw a line for each leg and a half circle for each foot. 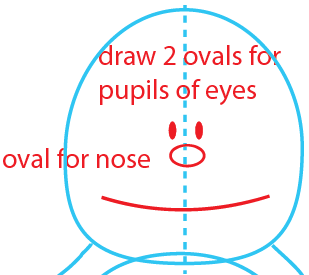 Draw two ovals for the pupils of the eyes, and a oval for the nose. Draw a slightly curved line for the start of the mouth. 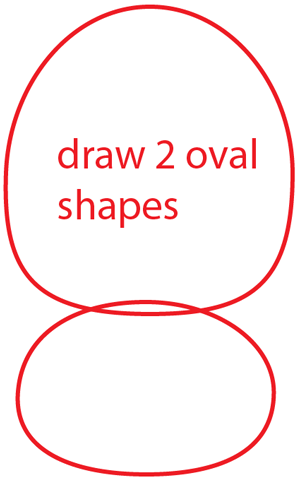 Draw two ovals interlocking for the eyes and erase the center. Draw a rectangle with a sideways number ‘3’ shape at the top. 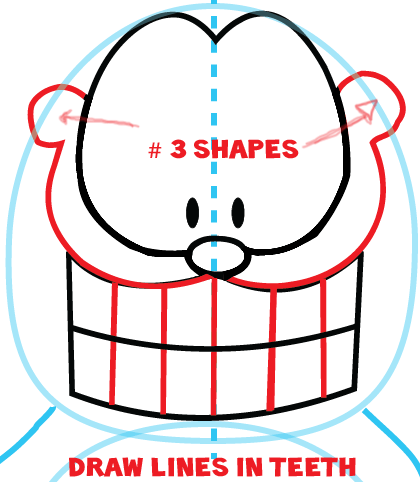 Draw two number ‘3’ shapes on either sides of the eyes. 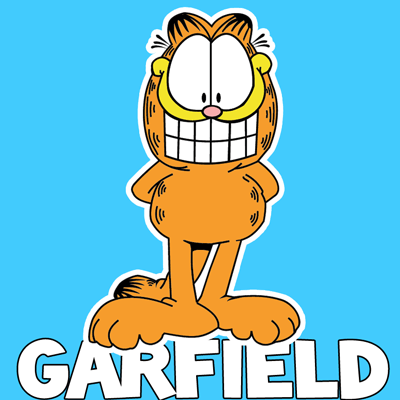 Draw lines in the mouth for the teeth. 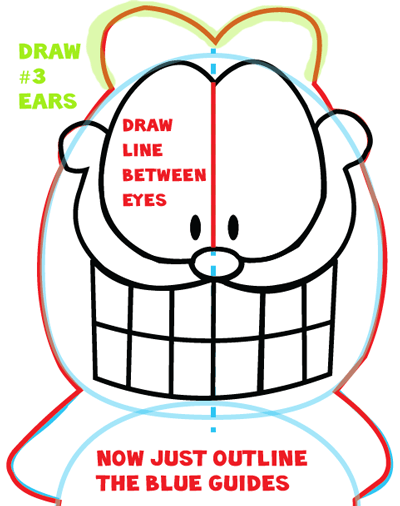 Draw number ‘3’ shape for the ears and now just outline the blue guides. 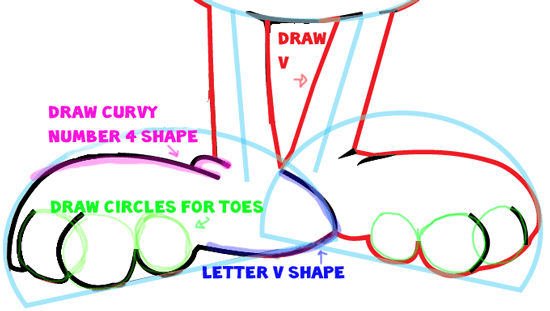 Draw a curvy number ‘4’ shape to outline the foot and draw circles for the toes. Draw a letter ‘V’ shape to separate the legs. 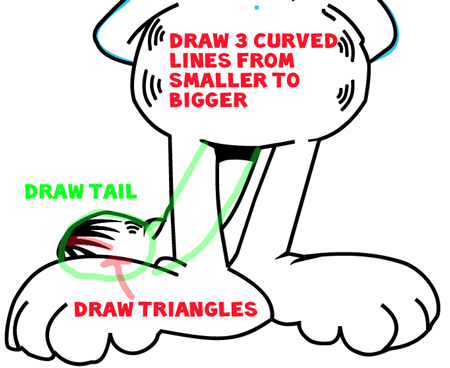 Then Draw the tail and draw triangle shapes for the tail design. Draw three curved lines from smaller to bigger as a design on his body. 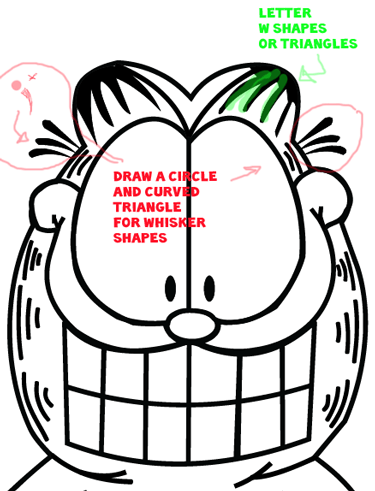 Draw a circle and curved triangle for the whisker shapes. Draw letter ‘W’ shapes or triangle for the designs on his ears. Hi admin can you add jon and liz too? PERFECT 😀 😀 😀 😀 😀 !!!!!!!!!!! 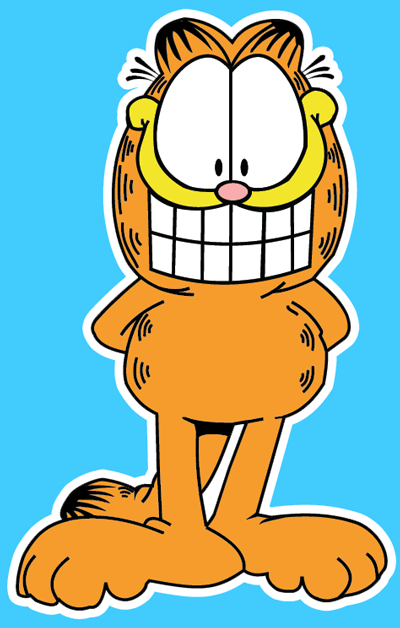 I’ve now drawn Garfield and Odie! I’m so proud of myself 🙂 Thanks for the tutorial.